It’s important to note that “pre-med” or any of these subfields are not majors. These subfields are a set of course requirements taken in conjunction with your major to prepare you for your professional school entrance exams and graduate program. When I toured UW-Superior, there was a vibrant, welcoming feel. Read more. UW-Superior prepared me for my master's program." Read more. Why Pursue Pre-Health at UW-Superior? Faculty provide one-on-one mentoring, advising and guidance to prepare students for their graduate/professional program. 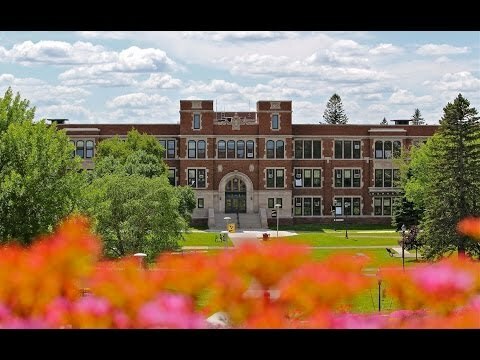 UW-Superior is located in the Twin Ports region of Superior, WI and Duluth, MN—home to two large health care systems with three hospitals plus dozens of primary care and specialty clinics. The Twin Ports is also home to graduate/professional schools for Athletic Training, Medicine, Pharmacy, Physical Therapy, Physician Assistant and Occupational Therapy. Ample opportunities for job shadowing, volunteering, internships and hands-on lab experience. Pre-Health Club organizes panel discussions with medical professionals that talk about the everyday practice of medicine. Health and Human Performance Club sponsors students to attend professional seminars for outreach and to secure internships. Student clubs regularly invite graduate/professional school representatives to campus to speak about their admissions processes and answer questions. Where Do Pre-Health Students Go? Jonathan Dyess is ready to answer any questions you have about Pre-Medicine/Pre-Health Professional Programs.